Posted on June 8, 2018 at 9:38 am. We only come to know the importance of residential plumbing systems when they are out of order. One can’t even spend a day without getting it fixed by a local plumber in Cleveland, TN. Therefore, we are quick to give them the attention they deserve. On the other hand, there are numerous plumbing issues that don’t bother us initially. No daily activity is affected by them. However, by keeping on with minor plumbing issues for an extended time period, we actually wait for them to turn into fully fledged inconveniences. By then, they have malformed our abodes into a place of torment. Adding insult to injury, it becomes more costly to fix these plumbing issues. For that matter, we are enlisting here some of the minor issues that you may encounter or already have in your residential plumbing system as you are reading this. We advise you to not ignore them and immediately call for a local plumber in Cleveland, TN. Drippy and leaky taps might be the most common plumbing issue that is constantly ignored by homeowners. They persist with drippy faucets and flushes until they go completely out of order. In the majorityof the cases, this issue arises when these plumbing articles complete their service life. However, design or manufacturing fault and poor installations can also pave way for this issue. Therefore, it is always better to have your plumbing installation taken care by some reliable local plumber in Cleveland, TN. Even though we consider them as a minor source of nuisance, drippy faucets and flushes in the house carry some serious issues. No, we are not overstating anything here. Leaky faucets can make it difficult for your family to live in peace because they can lay breeding grounds for pest infestations by providing them a constantlydamp environment. Leaky faucets are one of the reasons why our washrooms and kitchens host many unwanted guests in the form of different insect species. It appears that only a few drops of water are getting drained through a leaky tap or faucet. But the truth of the matter is that a leak of a single droplet per 20 secondsmaccumulates to water wastage of 157 gallons annually. This astounding number itself provides enough good reason that leaky faucets and flushes should be immediately fixed or replaced. So, do you have any leaky faucets in the house? If yes, then call for any professional local plumber in Cleveland, TN to take care of the issue. A plumbing system is as good as its piping network. If plumbing pipes have major faults, then the entire system is actually of no use. But interestingly enough, minor leaks of plumbing pipes are ignored like they come with its installation. Leaks from plumbing pipes are actually not minor when we look into the problem that can stem from them. Leakage in plumbing pipes often occurs when they are near their service life. Leaky plumbing pipes, even with minor leakage rates, can become problematic for various reasons. Constant leaks through plumbing pipes stain the house walls where they are installed. It can discolor the paint or any other treatment that you have onyour exterior walls. If you are not addressing the issue through the expertise of a local plumber in Cleveland, TN, then be ready for a double whammy. You will have to pay for the replacement of the pipe and as well as for the refurbishing of the affected stained walls. Leaks from plumbing pipes can infest the interior of your abode with strong and unpleasant smells. You may get used to these ever-lingering bad odors, but they will certainly bother visitors and then you can’t blame them for creating a not-so-good impression regarding your house upkeep routine. In addition, these pipe leakages over time promote mold growth on different sites in the house. This is not good especially if any of your family members sufferfrom respiratory infections. Therefore, it is recommended to have your residential plumbing system inspected by a reputable local plumber in Cleveland, TN. They will inspect the whole piping network to identify and fix every visible and undetectable leak that can become the reason for the above-discussedissues. If your tapes are not providing a regular torrent of water, then don’t just assume that it’s due to some trouble with local water supply. Have a thorough look atyour plumbing system before lodging a complaint of low water pressure in your respective municipality. It will be better to hire a local plumber in Cleveland, TN to find the reason why you are not getting sufficient water pressure in your plumbingfixtures. 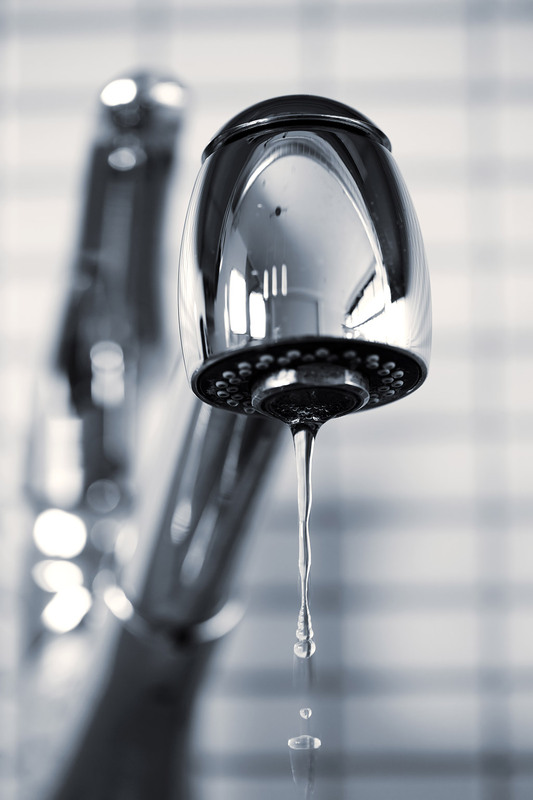 You can face low water pressure in your taps and flushes because of the leaks you are not aware of. A professional local plumber in Cleveland, TN has enough expertise to detect any such leak in your plumbing system. By fixing such invisible leaks, you may get back the water pressure in your tapes and flushes. Erosion-corrosion is a phenomenon that represents the surface degradation due to any mechanical action. With time, plumbing pipes become a subject of erosion-corrosion that leads to a pressure drop within them. By getting the services of a local plumber in Cleveland, TN, you can prevent or reduce the pressure issues in your plumbing system caused by erosion-corrosion. Aside from all these plumbing problems, running toilets are another ‘minor’ issue that results in lots of water wastage. For any small or immense plumbing issue, we urge you to call Metro Plumbing, Heating and Air. They have some of the most professional and skilled local plumbers in Cleveland, TN that are equipped to address every sort of residential and plumbing grievance.